It's been a few weeks since I did a Friday Fellowship but I still have several to come. I've been trying to talk Scott into doing one but I don't know if I can make that happen. ha! Today's guest is my friend Jenna. If you have read my blog for a while you will remember my friend Janet who died of Ovarian cancer and her daughter Jordan who has baby Lucy who has a heart issue. Jenna is married to Janet's son Bryan. She is the mom of 3 boys and went on a big weight loss journey last year before getting pregnant with her 3rd son last year. She inspires me and I thought she would be fun to share. I love all things Mexican food. Chips, Guac and Fajitas could sustain me for life. With a big ol’ diet coke. I also love a good freshly baked Chocolate Chip Cookie, thats probably my favorite food on Earth. I’m in that awkward postpartum period right now where nothing normal fits and my maternity clothes are too big. I’m also nursing my baby, which makes getting dressed for nursing in public very interesting. 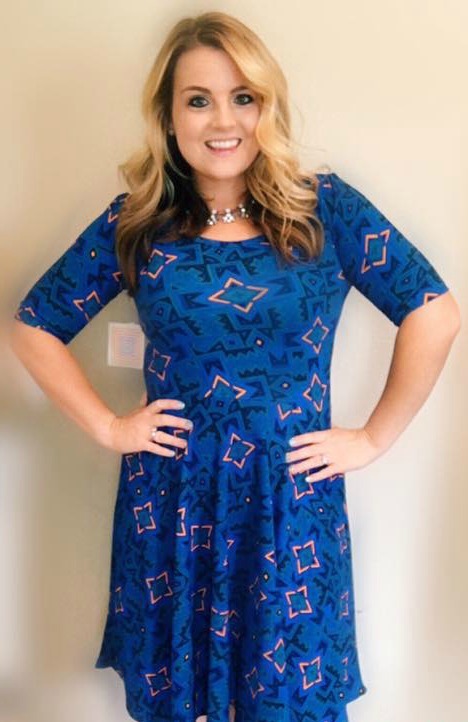 I am loving long tunics with leggings for this interim period, and hoping my clothes start to fit before summer because it will be too hot in Arkansas for my yoga pants every day! ha! I dated my now husband, Bryan, when I was 15 for the first time. We met in youth group. We “broke up” shortly after and remained friends for years before the Lord brought us back together in college. I always laugh because I was such a heartbroken teenager when we broke up, but the Lord really protected me, both of us, by giving us those years to grow individually. We’ve now been married almost 9 years. 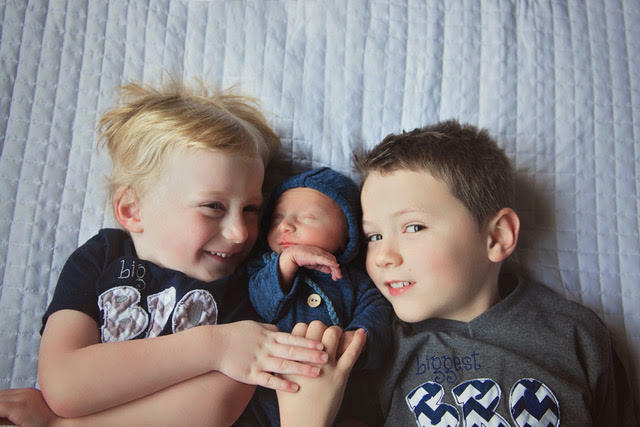 We have three boys- Hudson, who is 6.5, Rhett is 4 and our new precious rainbow baby, Sawyer Anthony, who is almost 3 months old! We are also very lucky that so much of our family lives close by! My parents and brother are just 20 minutes away and in-laws live about an hour away. Many of you might also know my sister-in-law, Jordan Street, who Kelly has featured before. My niece Lucy was born in October with a heart condition and has spent much of her little life at Arkansas Children’s Hospital. This is a tough one because there are SO many qualities I think are important. I struggled for years after I became a new mom to find friends who “understood” me and that once you become a mom life isn’t about you anymore. You can't just drop everything to hang out at the drop of a hat and stay out until 2 AM anymore. I am blessed with an amazing group of close friends now that I found through a church group and I’d say the most important thing to me is that we can be real with each other. Sometimes life/being a mom/wife or whatever is hard and we share the hard stuff, cry together, support each other and pray over each other. I had a miscarriage in March of this year and one of my best friends took me to every blood work appointment at my doctor 30 minutes away in the horrible two week time span that everything was happening. She didn’t have to, I didn’t “NEED” her to take me, but she did, just to be with me and support me. And then after my emergency c-section with Sawyer, our boys were really struggling with us being in the hospital for a week so she left her four kids at home with her husband and came to stay the night with me in the hospital so Bryan could go home and spend some time with the big boys. That’s what true friendship is about, being there and supporting your friends when they need you. This is another hard one. Many of you have been reading Kelly’s blog long enough to remember my mother-in-law, Janet Pate’s battle with Ovarian Cancer a little over three years ago. I lost three people close to me three years in a row after going 27 years and never going through a hard loss. My faith was rocked, and still some days I struggle with it, and have some severe anxiety and struggle with trusting in God’s plan for my family. My sister in law, Jordan, is now facing this with Lucy, and we’ve tried to walk closely with them because it is just hard. I guess the biggest thing that the Lord is teaching me is that He has a plan for us even when we can’t see the end result. There have been lots of hard and bad days in the last three years, and more to come I am sure, but I am learning to continue to put my faith in Him. I think one of my hardest struggles now is anxiety over control. I’ve been learning that by me WORRYING, I am telling God that I don’t trust Him and that He has what’s best for me in store. God and I have been battling over this, of course He is winning… but I have to make a conscious effort to give it over to him daily. My biggest fear is not leaving an impact on the world. I’ve tried really hard, mostly failing, at being intentional since Janet died. 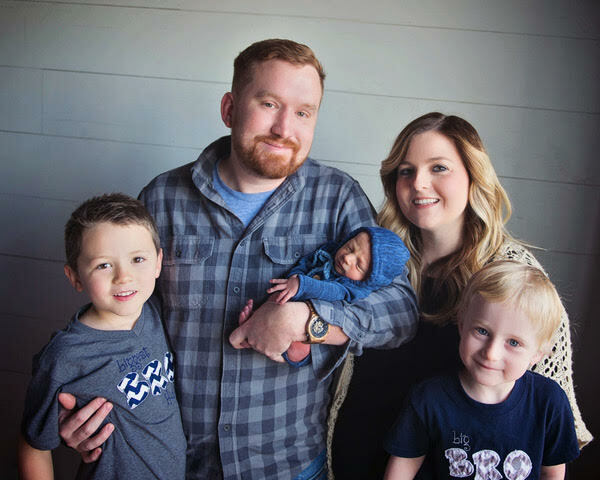 These last few months I’ve really focused on being intentional with my boys and family and I have seen a huge change in my boys and in our family dynamic. 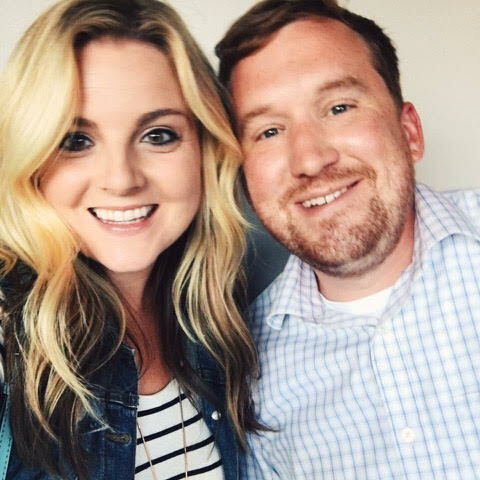 We left our traditional church to join a church plant with friends of ours about a year and a half ago, and our mission is being intentional in our community and it’s totally changed my mindset, in the best way. When I die, whether it is tomorrow, ten years from now, or 40 years from now… I want people to say that I made a difference in their lives, so my fear is succumbing to my own selfish desires and missing out on those opportunities that the Lord presents to me. Coffee, my Honda Odyssey (I said I’d never drive a mini-van, then I had three kids, now it’s my favorite car ever), Audible (I just discovered how amazing it is to be able to LISTEN to books, because I don’t have a whole lot of time to read), and Walmart Grocery Pick up. The first thing that comes to mind is the (many) times that I’ve lost my patience with my boys. I remember telling my mom several years ago that I felt bad for yelling or snapping at Hudson. She told me that many nights when my brother and I were little she prayed that we wouldn’t remember parts of our days when times were rough. It must have worked because I don’t remember my mom being short with us when we were little (ha) so that gives me a little comfort. I’m human and my boys push me to my every limit somedays and some times I yell and snap at them and I hate seeing the look in their eyes when that happens. But I also know that it’s a good teaching moment to show God’s grace and mercy to them through experience, and that’s what it always comes back to, right? Mom isn’t perfect either and I have to ask for forgiveness, a lot. So very thankful for that Grace, that I definitely don’t deserve. Well I have a three month old, so I don’t do a lot of fun things right now. Ha!! I do like getting my nails done, coffee dates with friends and girls nights/date nights with my husband. My husband has a jeep, and when the weather is warm we love going out cruising with the top off. We also love hanging out with our family- lots of time out at my parent’s lake house in the summer. I also really love to shop. 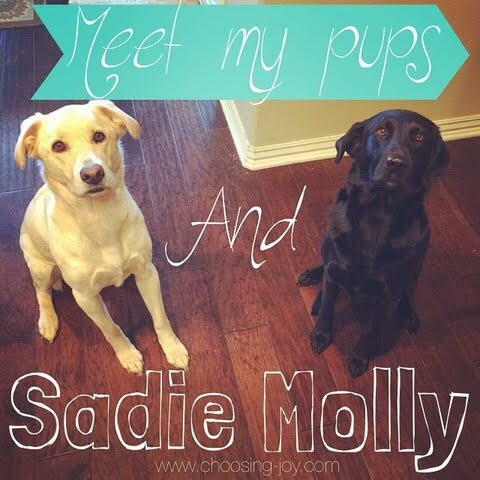 We have two labs! Sadie, our yellow lab, is 7, and Molly, our black lab, is 5. They’re amazing with our kids and really good vacuums too. Rhett says Sadie is his best friend. We also recently acquired a beta fish who the boys named, Ralph. My all time favorite movie is How to Lose a Guy in 10 Days. I love a good chick flick. I also really enjoy comedies. I know it’s not a movie, but my husband and I have watched the whole series of The Office probably 10 times- it’s our favorite. I have my bachelor’s degree in nursing and worked as a nurse for 6 years before staying home full time with my boys three years ago. I now own my own fitness business, which is so crazy to say out loud. I started my fitness and weight loss journey in January of 2014 and lost about 45 lbs total before getting pregnant with Sawyer. 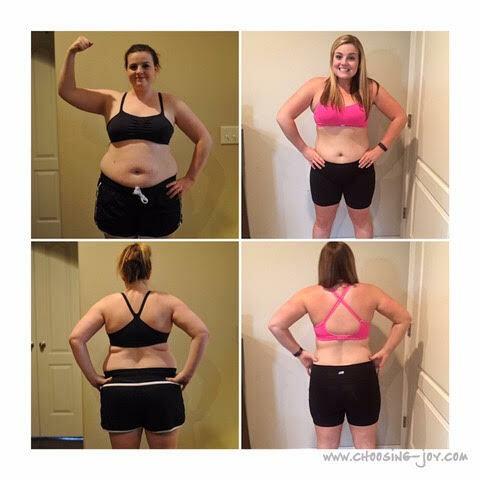 I was doing numerous programs like 21 day fix, PiYo and T25, I also ran three half marathons in the last year and a half… and this business just kind of fell in my lap in the summer of 2014. I help others reach their fitness goals all online through fitness groups and help people get in the best shape of their lives in the comfort of their own homes. It is a lot of work, but it’s work that I love and that I can do while homeschooling/doing laundry/playing with my kids on my own schedule because I am my own boss and have completely replaced my full time nursing income! I’ve also gotten to travel and meet so many amazing and encouraging people in the last year because of this opportunity! Since having Sawyer I’ve completely started over on my fitness and weight loss journey. 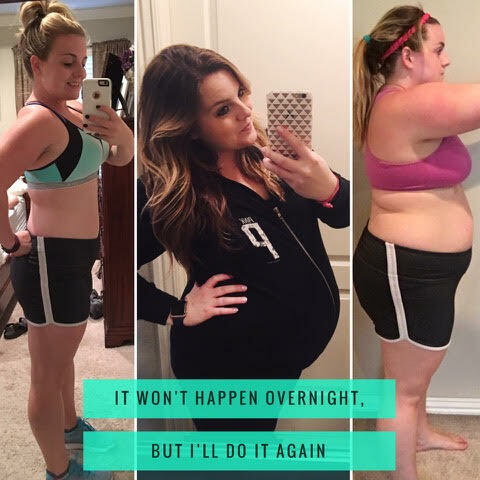 I gained all of my weight back during pregnancy and have already lost close to 10 lbs of it with 21 day fix. I’m not at all discouraged about where I am because I have done this before and I am going to do it again. It’s so much easier when you have all the tools at your finger tips and an amazing accountability group! I’m starting a Mommy Bootcamp next week, and I’d love to have you join me if this is something you might be interested in! So that’s a little about me and my journey. Thanks so much to Kelly for sharing my story! I’d love for you to find me and connect on social media!